Inside: A teacher gift can be hard to choose. It’s hard to know what they really want. But this list, created by an elementary school teacher and vetted by her elementary school teacher friends has exactly what teachers want for the holidays. Choose from this list and you can’t go wrong. As an elementary school teacher, I always looked forward to the holiday gifts and teacher appreciation gifts my families would give me. I got every teacher gift under the sun, from a gas station card gift certificate to plates of cookies, to a bright red mouse candle glued to a real mousetrap. Seriously, I could not make that up. It was the weirdest gift I ever got. And with the list of everything moms have to do in December, purchasing teacher gifts can often get forgotten until the last possible second. 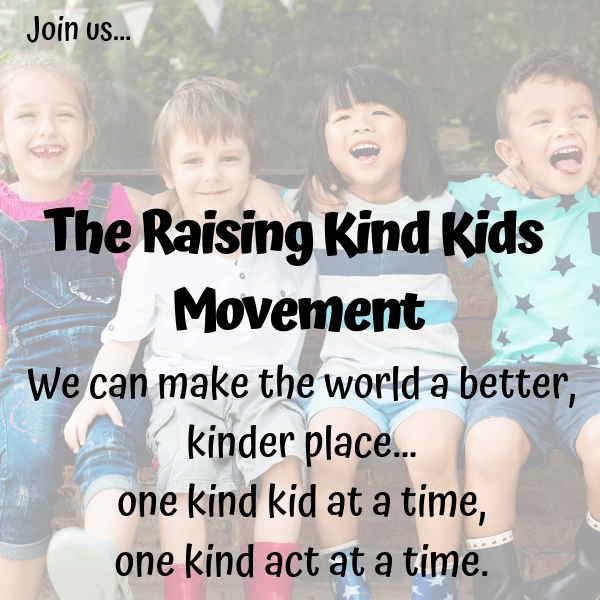 Between planning classroom holiday parties and practicing songs for the holiday performance with our kids and remembering to make the dish you promised for the PTA potluck, it’s hard to add one more thing to your to-do list. But let me tell you, teachers love gifts. Teachers are clearly not in this profession for the money. They teach because they love making a difference in our kids’ lives. thank you for everything you do to help my child learn and grow and thrive. I want you to know that I know you don’t get paid nearly enough money for what you do and since I can’t fix that, here’s a gift. It can be hard to know what teachers really want when you’re picking out holiday gifts for them or teacher appreciation gifts. But I have a secret to share. There is one major thing all teachers really want. What they get super excited about. And I’ve polled every teacher I know…friends, colleagues and my kids’ teachers. So to make your shopping easier in December and early May, and to make teachers happier, I’ve compiled a list of teachers’ favorite go-to gifts that we give to my kids’ teachers. I can not state enough how much teachers love gift cards. They are seriously the best. Want to make it cutesy??? Starbucks gift cards– pop it into a to-go cup (Starbucks will happily give you a clean cup and lid) and write, “Thanks a Latte” on the lid. Barnes and Noble or a local independent bookstore gift card– most teachers, me included, have a serious book addiction. We can’t pass a bookshop, a book fair, or a thrift store without searching for a new or old book. Help your teacher add to her library with books she really wants. 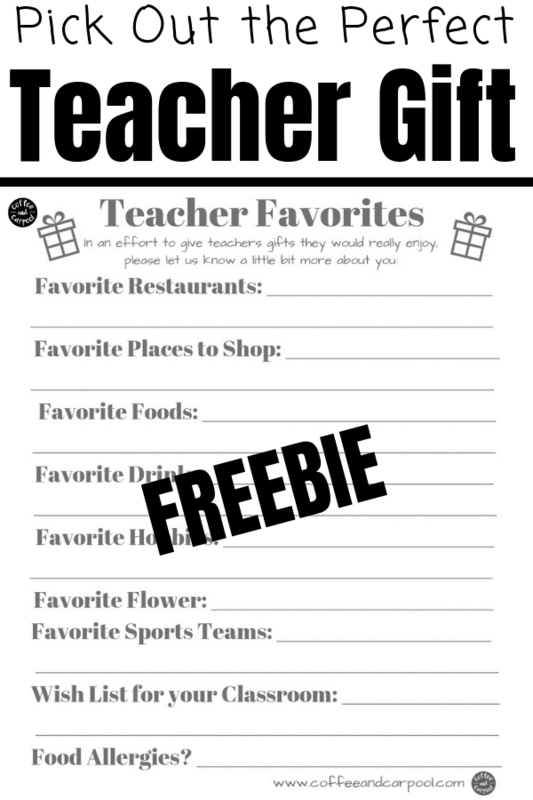 Purchase a gift card (or a gift) off their favorites list– ask your child’s teacher what their favorite things are… favorite restaurant, favorite dessert, favorite candy, favorite hobby and get them a gift card for that. I’ve purchased a frisbee golf disc for a teacher who loves playing frisbee golf, and a gift card to the Olive Garden. If they like it, I’ll buy it. 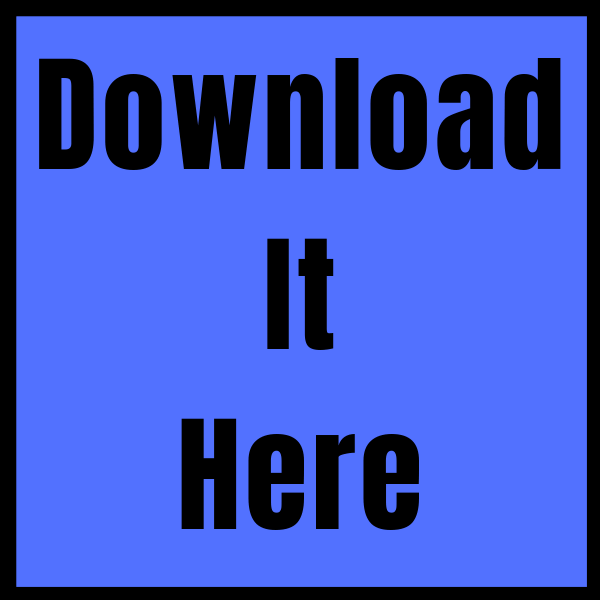 Download the Teacher Favorites printable down below. You can literally ask your kids’ teachers what they want. No more guessing. 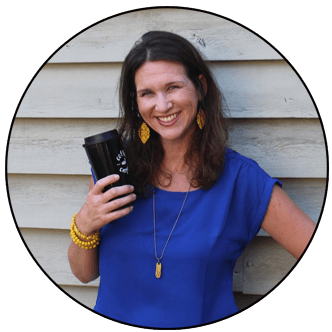 One of my favorite teacher gifts to give is to find out their favorite morning beverage. Instead of a gift card, my kids roll up to school with their teachers’ favorite drinks to hand them. We’ve dropped off fresh squeezed oj, Starbucks drinks, and an extra large McDonald’s diet coke. All it takes is a quick email to find out their drink of choice and leaving the house a few minutes before school to hit up the coffee store. Or the McDonald’s drive-thru. 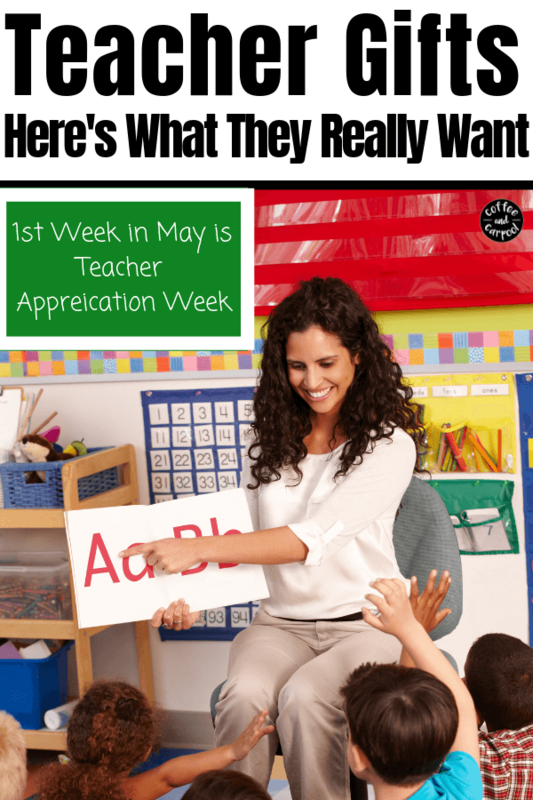 Another easy gift is to ask teachers what they really want for their classroom. Ask them what the next thing they were going to buy is or what’s on their wish list. We’ve bought a class book for an upcoming lesson, a rainy day boardgame, and craft supplies for a project they really wanted to try. We’ve added money to a teacher’s Go Fund Me Page, a DonorsChoose.org page, and bought Teachers Pay Teachers gift certificates. Again, teachers spend their own money every single day on our kids. This is a simple way to let them keep a little more money in their pocket. I know money can be tight, especially when you’re purchasing something for each of your kids’ teachers. With three kids, it can add up fast. Plus, we have specialists and religious school teachers to shop for. I loved getting handwritten cards from my students letting me know what they love about me or our class. I still have many of them. My favorite is one that announced how beautiful I was because I wear pretty lipstick. You know what? I’ll take it. It’s better than a #1 Teacher Mug. 5. Did I mention Teacher Gift Cards? Seriously, when in doubt, go with a gift card. Teachers have enough mugs, and lotions and ornaments. They get frames and bath gels and red mouse candles on real mouse traps. But really, teachers just want to buy another book or drink their vanilla latte while shopping in the Target dollar bin or go frisbee golfing with their new disc. And those are the gifts I’m more than happy to give. 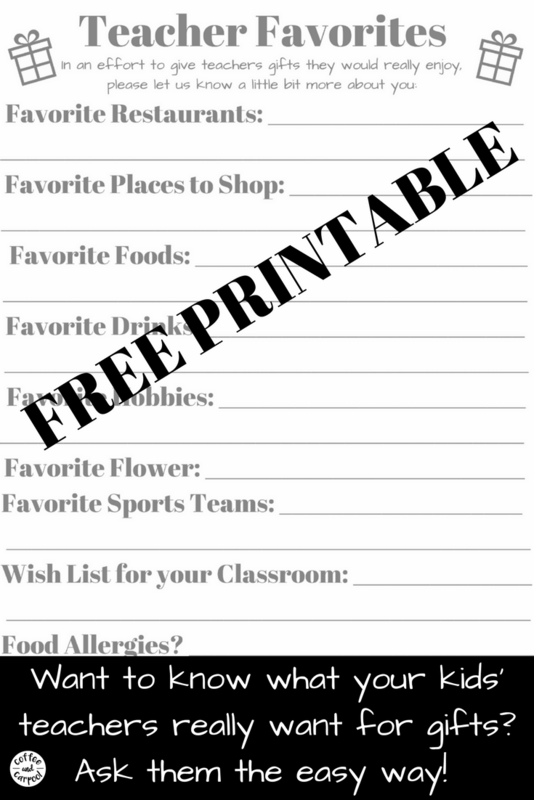 Download the Teacher Favorites Printable here. If you’re looking for something more personal or crafty or more cutsie, you’ll love these 22 Sweet Teacher Appreciation Gift Ideas That Teachers Will Love. 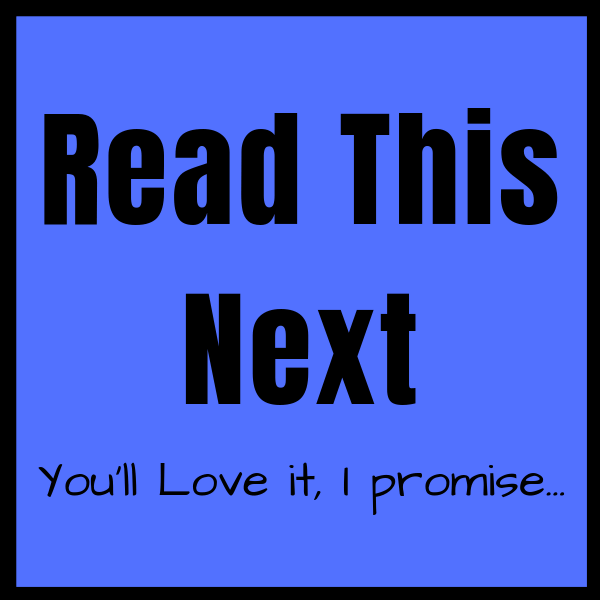 awesome and timely post as I am currently stuffing envelopes with gift cards for teachers, aids etc…. Question though… thoughts on the Principle ?!? First time elementary parent here and not sure the protocol on that one.. i have currently have a coffee gift card. owe you a text response from last week sorry! I honestly never have given a principal a gift…specialists and health clerks/nurses and aides, but never a principal. They have just never interacted with my child in a way where I felt I needed to. But I’m sure they would love it! My kids give a bag of of cookie dough, a cookie cutter, sprinkles and two individual packs of flavored hot cocoa in a gift bag or sometimes we go to the Dollar Tree and get an oven mitt to put it in. I feel it’s something that can be used but nothing that they get a thousand of that just sits around. As a teacher, I fully endorse this! I do a mug exchange for my kids every Christmas. We drink hot cocoa out of our mugs and watch The Polar Express. It’s SO fun, but guess what I get from my kiddos?! Mugs upon mugs and then more mugs 😂😂. I love them and their mugs, but how many mugs does one person need? Great resource for parents 👍🏻❤️. I used to live with a teacher. She’d receive piles of chocolate! Once she had a bottle of red wine. The mum had made a label with a photo of her child that said “this is why you might need a drink” It was hilarious! Not bad wine either!! oops red wine! Not read wine!! Lots of teachers would love wine, I’m sure! As an educator myself, I agree with your suggestions. Funniest gift I’ve seen? A female coworker was given hair….yes, a hair extension! This is so timely as I was JUST thinking I had forgotten a teacher gift. My son immediately said he wanted to write his wonderful teacher a Thank You card. And we’ll definitely get her a gift card.